Modern Design 18 Karat White diamond wedding band elegantly set with 5 radiant round brilliant diamonds set beautifully on the classic knife edge band. 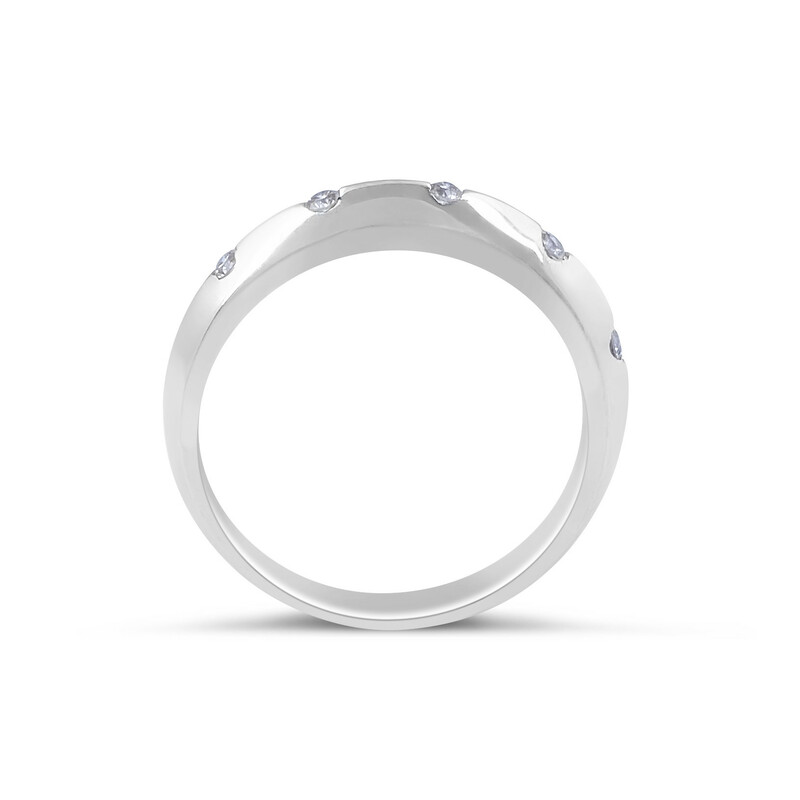 For those looking for a modern yet classic wedding band this is a stunning and timeless ring of choice. 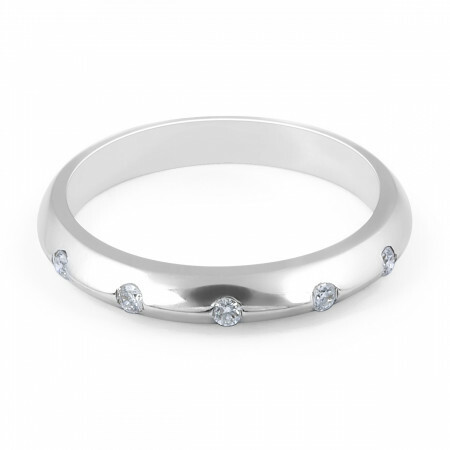 18 Karat White Gold Modern design knife edge diamond wedding band 5 RD: 0.17CT Gold Weight: Band Width: 2.9mm.